You should know your rights as an employee. 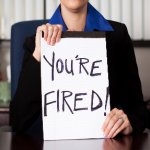 You must know the legal standards on getting terminated to know if your employer terminated you legally or illegally. This way, you can find a way to keep your job or sue your boss through Wrongful Termination lawyer. Most workers are “at will” employees, which mean employers can fire them for any reason at any time. If you have signed a written contract with your employer where you are promised to keep your job for a certain period of time and that you can only be fired for reasons indicated in the agreement, then you have grounds to challenge your termination. This is one of the best exemptions to the “at-will” rule. If your employer has said or done things that implicates you are promised to keep your job or that you will only be fired for particular reasons, then you can challenge your termination and the “at-will” rule will be void. The things that will be considered to determine if there were implied promises are – how long you have been employed, your regularity, positive performances, assurances of your employment, if you were fired out of the usual practice (like giving you a fair warning before getting fired), and if there were promises made ensuring your long-term employment. You can also file for breach of good faith and fair dealing if you believe your employer fired you unfairly. If you were fired so that you won’t get commission, promoted, or increase your wage, then you can file for breach of good faith and fair dealing. You can also file this charge if you know that the main reason for your termination is to replace you with a worker who will work for a lower salary. Other legal basis for challenging your termination includes violation of public policy, discrimination, retaliation, fraud, and defamation. To make sure you have adequate legal grounds for challenging your termination, it is always best to consult or hire an attorney.